Yesterday the kids and I threw ourselves an impromptu Halloween party with the help from our friends at Kmart. It was overcast and rainy..the perfect day to pick up some spooky supplies and create an entire day and evening of Halloween food and fun! Check out what we got and the festive food we made! So what did we get… I knew you would ask! For our spooky dessert we bought 2 snack packs of Vanilla Pudding $1 each, Clear disposable cups $3 and some change, and a bag of chocolate chips ($3) This is what we made… it is very simple. We call it monster pudding! We used chocolate chips for his hair but you can also use crushed cookies. For dinner we had Zombie Brains (pasta with pesto sauce) and garlic bread to keep vampires away! Of course we picked up a bag of Candy Corn because it would not be a Halloween Party without it. The bags we 2 for $3 … how could I resist! 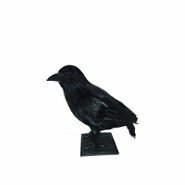 As for decorations, my son picked out a mini green strobe light ($5), caution tape that says “enter at your own risk” for our door $3.99, a very real looking crow for $6.79, 2 bags of Halloween mini rubber ducks (ghosts and pumpkins) for $3.99 each, and a spooky skeleton mask for $9.99. Lastly my son grabbed some orange and black pumpkin gloves for only $1.49! He has been wearing them since we left the store. I secretly slipped in a spooky DVD for mom and dad after the kids go to bed as well! All of this for only $80 (minus the $5 gift card) – I must say that I was VERY surprised at the amount of options Kmart had for Halloween including more than one aisle of costumes all at very reasonable prices! My basket was so full I thought for sure we went over budget but no we were right on target! Halloween is right around the corner and in preparation for the festivities Kmart invites you to participate in the Halloween challenge! Whether you are looking to turn your home into a haunted house, or vying to win this year’s costume contest, Kmart has you covered. With over 3,000 Halloween costumes available online, there is something for everyone in the family and now you can purchase online and pick up in store! 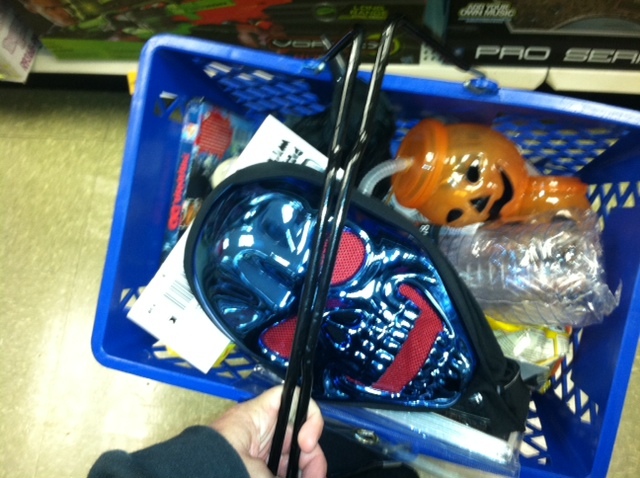 Kmart is your one-stop-shop for all things spooky! 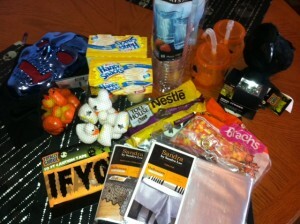 To check out everything Kmart has to offer this season, go to www.Kmart.com/Halloween. I received a gift card from Kmart to buy supplies for our party and to share my experience with you. As always my opinions remain 100% my own.